As always, we believe in building the foundation first, and that’s what we’ve continued to do this week on sieges, supporting tech, and much more. 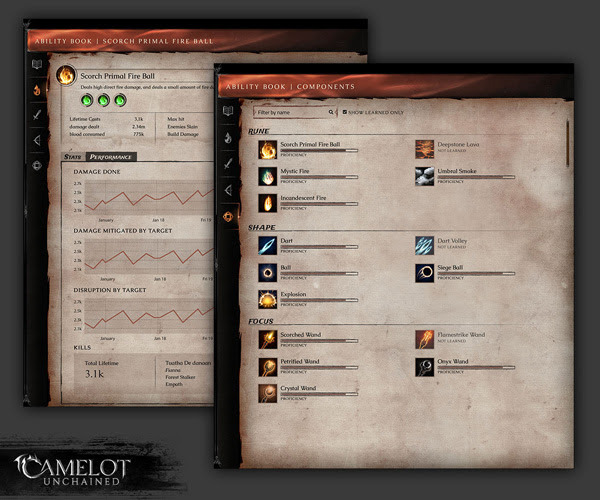 The ol’ CSE team of hard-working and talented folks continue to iterate upon (and overcome) one of Camelot Unchained‘s most important challenges: massive siege battles! And just in case you’ve missed our past two updates, our definition of massive is something no other engine can touch. Check out our news section for previous images, HERE. We’ve been testing this work, very successfully I might add, with many of our Backers, who have by and large been extremely excited to see this coming together. Wednesday evening’s test saw many west coast Backers able to join in on the mayhem! And when I say mayhem, I really mean it! The sheer number of siege engines, NPCs, and players firing off abilities simply fills the screen with fire and chaos (literally–the TDD Druids are firing chaos bolts!) The next iteration we’re currently working on pushes this even further! We’re currently working on performance and visuals, with several key improvements in progress, which you can read about further in the Top Tenish, along with lots of other progress in areas outside the siege work. If you missed this week’s livestream with Ben and Tim, you can catch that HERE. In terms of testing, we are not planning on a weekend test. Keep an eye on the tentative testing schedule for upcoming tests, as well as your email. Tech – Rubble: This week, Colin finished synchronizing building destruction with rubble creation. This fixes visual artifacts where rubble would not appear at the right time relative to the building damage that spawned the rubble. WIP – Tech/Art – Color and Lighting: George has been spearheading further work on a color grading system for the game. Simply put, this will allow us to do more art direction on the game, as well as use it for more visual variation between areas of the world. We’re using the current siege scenario as a test bed. WIP – UI – World Map: James is continuing work on the world map UI. 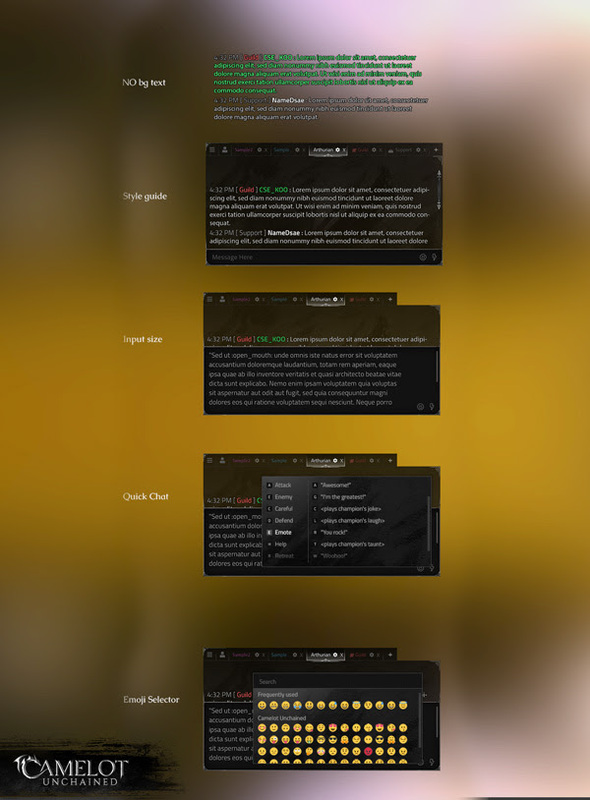 He has created art concepts for the map and sidebar, as well as icons for the tools/filters of the UI. WIP – Tech – Mesh Simplifier: Lee improved the mesh simplifier from the previous iteration, greatly reducing the amount of verts we were generating on the buildings–very important, as the building gets destroyed throughout the scenario. This is also about twice as fast now! Tech – PayloadLocals: Caleb worked on PayloadLocals this week. PayloadLocals are a place to add partial formula definitions inside a part of an ability. You can think of this as a workspace where designers can perform mathematical operations. The most important part of this workspace is that disparate definitions can all contribute to the same equation. The direct feature this supports for users is having Armor Penetration buffs applied correctly. This also supports ability parts responding to Armor Penetration occurring. Tech – Projectile Prediction: Matt has landed his projectile prediction. Going forward, we shouldn’t see as much “correction” happening as they fly through the air. 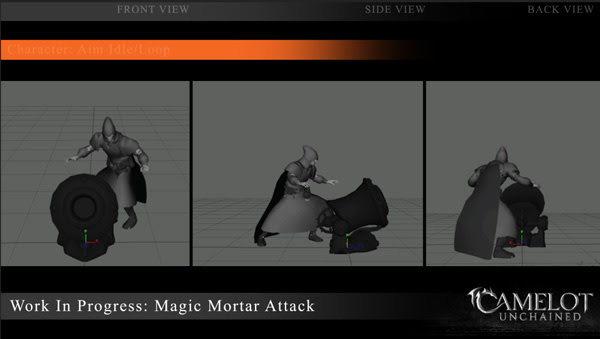 WIP – Gameplay – Support Classes: After discussing the technical and engineering design needs of the support classes, Anthony has begun work to support their unique abilities. WIP – UI – Ability Builder: Christina set up the Ability Builder back-end and passed it to AJ, so he can focus on hooking up the Ability Builder UI to her API. Once everything is glued together, we’ll be able to get this into tester hands for first pass feedback! WIP – VFX: Mike has been working on the VFX for several things this week. Secondary siege VFX (smoking trebuchet wreckage, burning ground spots) were added to make battlefields feel more alive. Some tagging changes to fix VFX attachment. Animation – Trebuchets: Mike D. fixed a spectacular trebuchet animation glitch with bones flying off every time it fired. This is a more general fix, which allows animations to have as much data as we like in order to have longer clips on larger assets like siege engines. WIP – Tech – Collision based sounds: Logan is making progress on collision-based sounds. Once this work is completed, we will be able to add better SFX to things such as projectile impacts or any other object-to-object impact. WIP – Tech – Gear Slot Simplification: Christina created a simple tool to help duplicate/combine existing Equipment cogs. She used this plus a bit of manual fiddling in order to set up new Equipment cogs as needed to support the simplified gear slots. WIP – Environment Art – Siege Scenario: Tyler, Dionne, and Jon have been continuing work on changes to the new siege scenario. We’ve dramatically shifted the color around to facilitate the color grading and lighting changes George is working on. Continuing work on this zone has allowed us to also figure out issues needing to be addressed in lighting and texture generation. 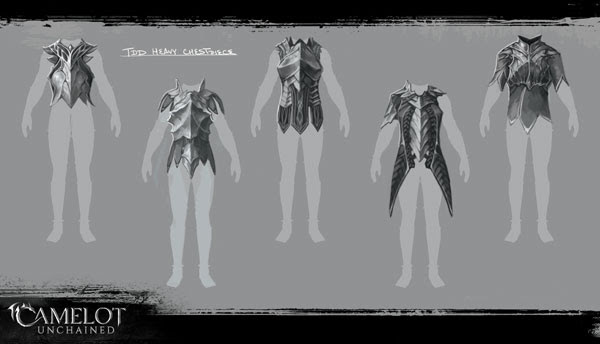 Art – Character LODs: Dionne removed more triangles from several models which Joe weighted and Scott imported. We’re trying to thread the needle between performance and visual quality to support a solid frame rate during large battles. Art – Shields: Jon is finishing updating all our previously made shields so they can be assembled in parts by crafters. This entails breaking them up into three parts in their UVs, similar to how we assemble characters. There’re several great items in there, particularly the work on the color grading George is doing. 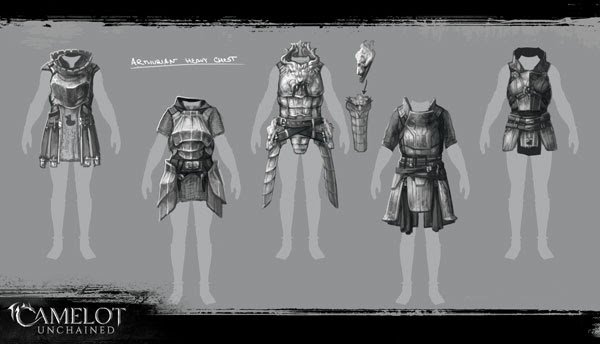 As I (Tyler) come from the art side of things, this one is something I especially want to see, as it really helps to change the look of the game. Moving forward, we’ve talked about it as a way to further differentiate biomes from one another. Imagine going from the cool tones of a rocky beach and moving inland, hitting some fog. Things start to feel darker, moodier, as you begin walking across a bog, slowly noticing the color and environment changing… and then BAM! Oh crap, you realize you’re in enemy territory! Fun stuff. It’s those subtle color cues we hope will visually denote territory control. For art this week, much of the team has been working to improve and push forward the look of the siege scenario. While we’re not yet ready to show off that progress outside of testing, we’ve got plenty of other visuals to present. The next step, obviously, is to get some animation on the mortar itself when it fires. I’m looking forward to adding that. It will be fun to not only add some knock back to it when it fires, but maybe a little squash and stretch to the barrel! And next up, concepts for the chat UI, which the guys want to update to be inline with the updated styling of the game’s UI. And so ends another very productive week here at CSE. Thank you very much for your enthusiasm and patronage, and we’d love to see you all in our next siege test!